A business card is an ideal way to reference your contact information and leave a great, lasting impression with customers, partners, and prospects. If you prefer to highlight your logo, name, text or anything in the card, use UV coated business cards. Its vibrant and exceptional qualities would impress your clients. The gloss of this card adds a distinguishing flare that stands out and brings it to the next level of professionalism. 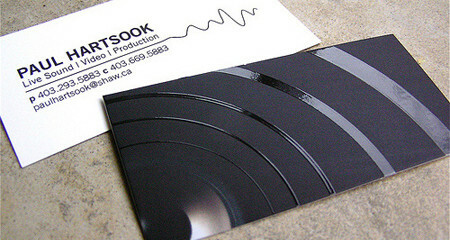 On top of the aesthetics, UV coating also helps protect your business cards from dust and dirt. On the other hand, if you want to highlight parts of your card, you might want to consider spot varnish (or spot coating). Extra glossy coating will be used on specific areas that you want to stand out. This process works best for minimally designed and professional-looking cards. This would surely help your business cards stand out from other business cards. Here are 37 Examples of Sophisticated and Stylish UV Spot Coated Business Cards. Hope this collection inspires you. Enjoy!